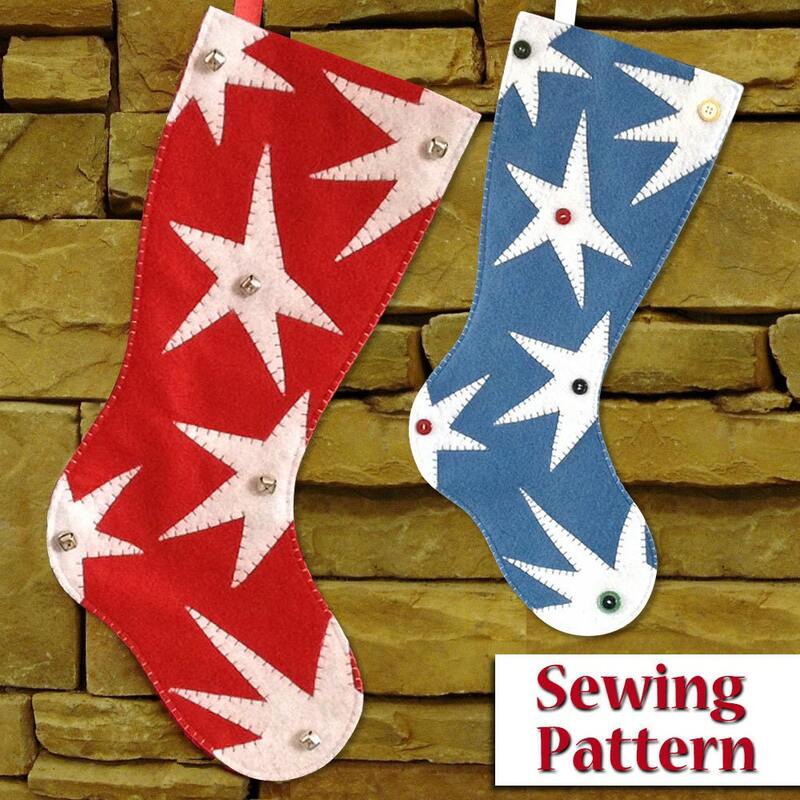 It's time to decorate for the holidays, and these Funky Star Christmas Stockings will make a fun addition to your holiday decor. You can make your own with my pattern - there are 2 Sizes included - almost 2 feet long and almost 18 inches. The kids will love to see these filled with gifts from Santa Claus! Designed for beginners with some experience and takes 1 to 1-1/2 hours to make. Computer generated pattern is easy to assemble and detailed manual includes easy step-by-step instructions with over 15 photos and diagrams. Pattern pieces and manual are written in English with metric conversions. •Pattern pdf file includes pages which can be printed on your personal printer and taped together.